I am based in Portobello. 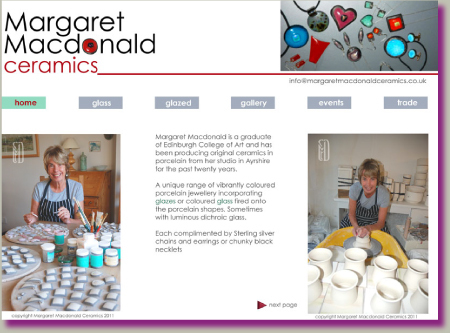 I studied at Edinburgh College of Art and have a BA(Hons) in drawing, painting, printmaking. Since graduating I have had many years experience doing commission work. I also worked for around six years freelance in TV and Film, in the art department. 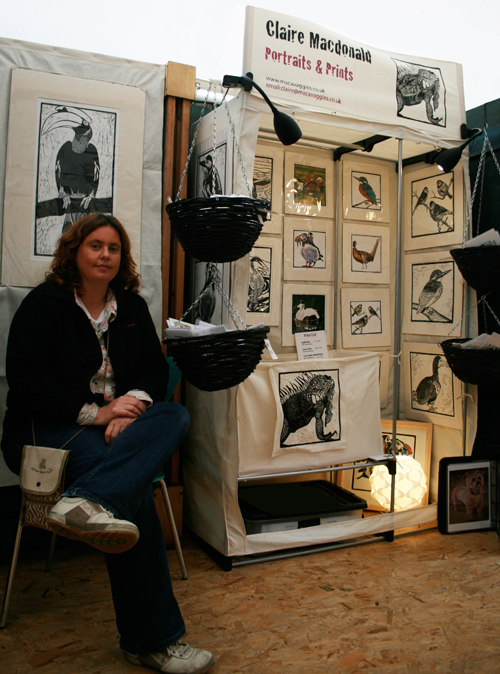 Having now returned to painting and printmaking I set up my own business selling cards and prints in November 2011. 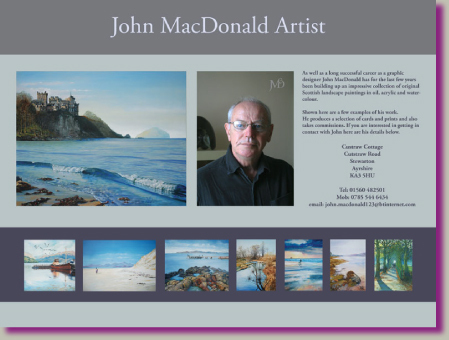 For the past four years I have taken part in Ayr's open studios in April. I will be there again in 2017. I will also be at the Scottish Spring Trade Fair 22-24th Jan 2017. SECC, Glasgow. I have been building websites. Here are two examples of completed sites. To have a look just click on the links below. My website prices are competitive. Please just email me if you are interested.